The stylish Shiba Inu umbrella for owners of Shiba Inu dogs everywhere. Own it yourself or gift one to a friend. Sport this wonderful Shiba Inu dog umbrella at the next dog show or just walking it in the park. 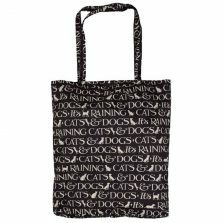 This stylish Shiba Inu umbrella is for fans of the wonderful Shiba Inu. 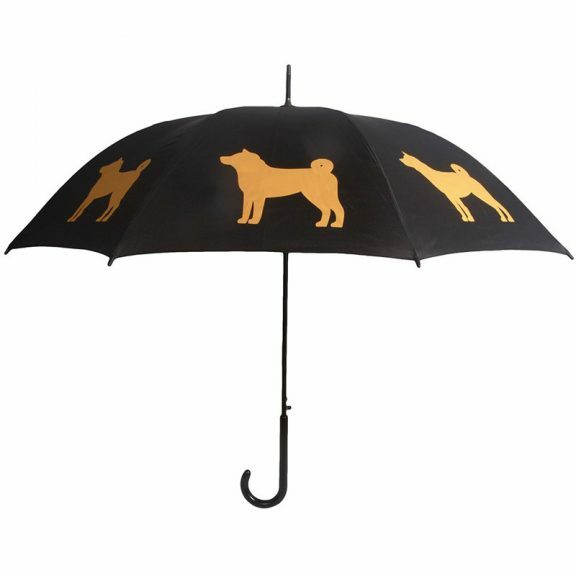 The sensational Shiba Inu dog umbrella has a 96 cm, bold black polyester canopy and gorgeous golden silhouettes of this wonderful breed. This wonderful dog walking brolly is 86 cm in length and boasts 8 strong, fibreglass ribs. 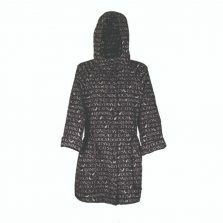 Its frame is flexible and will not simply snap in the wind. 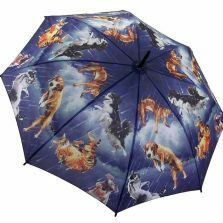 Not only that, this wonderful dog print Shiba Inu dog print parasol has a handy push button auto-open mechanism on a black 10 mm steel shaft. If you’re a Shiba Inu and you’re reading this, then this stunning Shiba Inu umbrella has a slim black crook handle and makes the perfect gift for your owner! You are also a very intelligent dog! Not the right one for you? 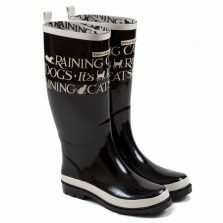 Check out the rest of our range of quality animal art umbrellas!